Dr. Duke interviews the leader of TradCatKnight who destroys Christian Zionist Lies! interviews the leader of TradCatKnight who destroys Christian Zionist Lies! Today Dr. Duke had Eric Gajewski as his guest for the hour. 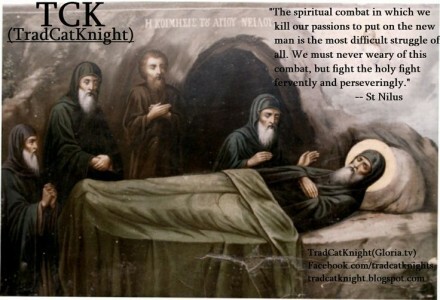 Mr. Gajewski runs the most popular Traditional Catholic website TradCatKnight.blogspot.com. He quoted a number of past Popes who warned of the role that Jews play in the world. Dr. Duke also contributed a number of quotes from Popes condemning the Talmud and Jewish crimes against Christians and Christianity. They pointed out that Christian Zionists have been literally brainwashed into accepting the doctrine of Jewish chosen-ness. Dr. Duke questioned how a people that has been so involved in war and exploitation throughout history could possibly be viewed as God’s chosen people. Click here and look for the show dated 5-25-16. Our show is aired live at 11 am replayed at ET 4pm Eastern and 4am Eastern. Here is a new interview with Dr. Duke that is going viral. Please give it a listen.